Game Ready’s active compression squeezes greater benefits out of cold therapy alone. Game Ready’s anatomic, circumferential wraps envelope the injury or surgery site and then conform to the contours of the body with pneumatic compression, assuring better surface contact and thus more effective cooling. 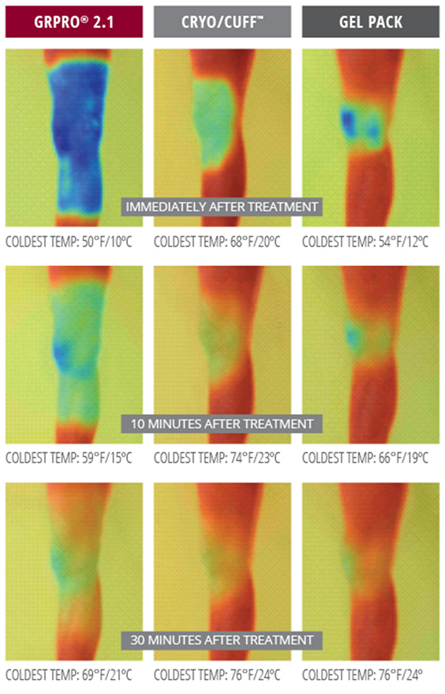 Head-to-head infrared thermal imagery shows that Game Ready provides faster, deeper, and longer-lasting therapy than other products. This allows significantly quicker recovery post injury or surgery. 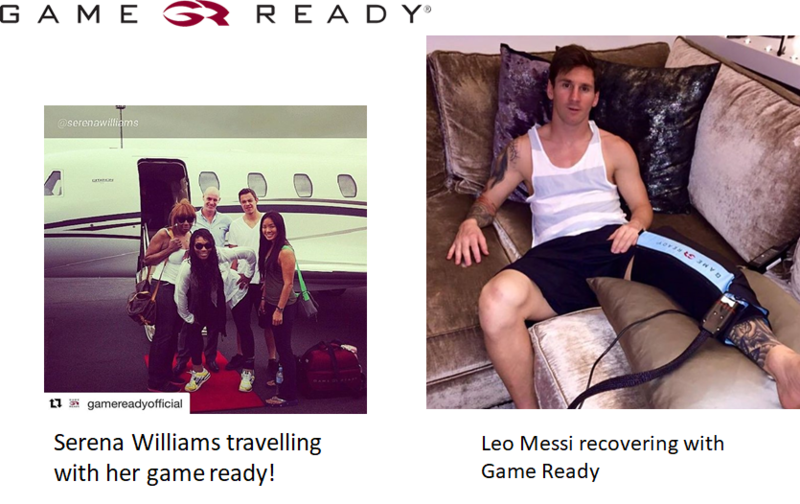 Ask Us if Game Ready can help YOU!